It seems like every time you unplug your laptop to go to a meeting, the power cord falls behind the desk. Don’t unnecessarily strain your back picking up dust bunnies as you dig under your desk on all fours. 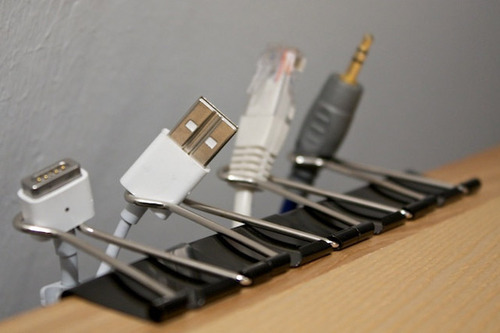 Just slip on a row of binder clips to your desk’s edge. Staple whatever you want! This cool video shows how to unhinge your stapler to access the middle of pages to create comic books, large banners, and more. It’s the end of the work day, and you’re the last person remaining in the office. Tired of wearing headphones? Don’t have any desktop speakers? Easily create this simple amplifier and turn up the volume! Open the video in your web browser. Pause the video as soon as it starts playing. 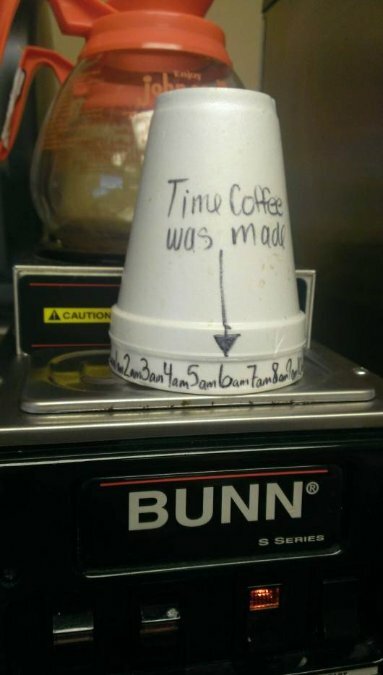 It’s 3pm and you’re trying to determine whether the coffee is 5 hours old. Just look up! This handy double-stack of cups is self-explanatory to even the most overworked employee. Unfortunately, we can’t offer any hacks for getting coworkers to use it consistently! We love hearing what other people have discovered. 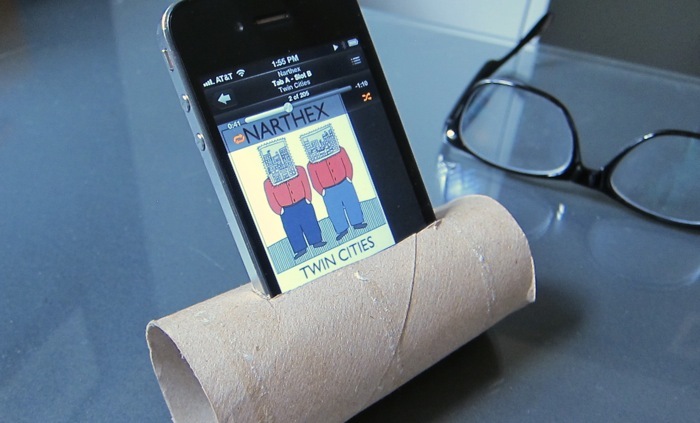 Please share your office hacks with us!